The district of Karimnagar and Adilabad are among the districts that are declared drought district by the Government of Andhra Pradesh two months ago. As water is the most basic necessity for human survival, it is the most common scene that the inhabitants of these districts travel miles to collect drinking water. Making an already poor state of living condition to worst living condition. 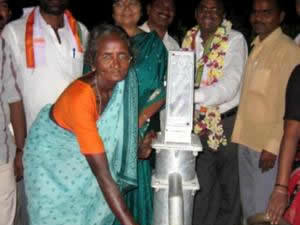 Visaka had initiated project which aims at making water available for drinking and irrigation for the poor. Visaka had invested huge amount of money in digging bore wells and construction of irrigation tanks in remote villages of the districts, thus ensuring that the poor has access to safe drinking water. 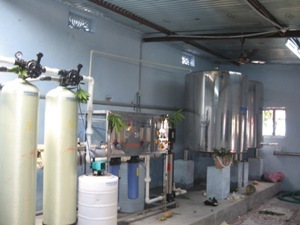 As a corporate responsibility, Visaka is making substantial investments in providing fresh drinking water, sanitation facilities, medical facilities, enhancing the income standards by imparting vocational training. 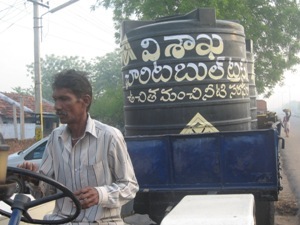 Visaka Charitable Trust operates in Yeulumala Village, Ramachandrapuram Mandal, Medak District Andhra Pradesh, Chiruva Village, Moudha Talaq, Nagpur District, Maharashtra, Manikkanatham Village, Paramati-Velur Talaq, Namakkal District, Tamil Nadu and also in the backward Districts of Adilabad, Karimnagar and Ranga Reddy of Andhra Pradesh.